The smooth finish and the blue color of the pyramid always attract spectators and is soothing the eyes. The Lapis Lazuli Stone sometimes called Lapis is a beautiful blue white calcite and brassy pyrite gemstone variety of the mineral rock. It is the nature of this royal color to mesmerize and attract in the very first look. 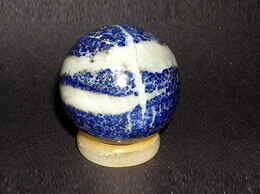 Nature has lent its magnificent colors in making this stone. In addition to it, nature has also bestowed us with a few breathtaking and attractive gemstones in this color. 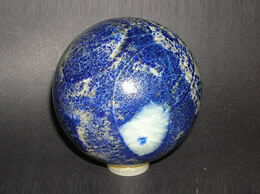 One of the finest examples of blue gemstones is Lapis Lazuli. 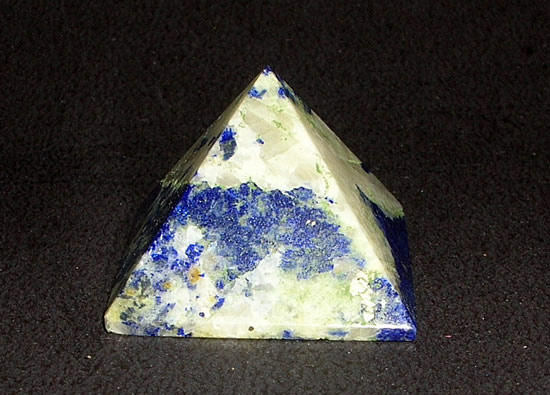 Approximate Size – 25 mm Lapis Lazuli Pyramid. 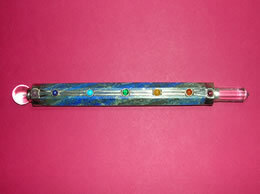 Lapis lazuli pyramid expands one's awareness, insight and intellect. 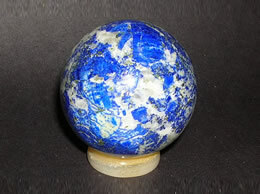 It is believed that Lapis Lazuli has the power to heal leg cramps, spasms, neuralgia, malaria, depression and blood disorders, depression, insomnia, recurring fevers and hearing problems. 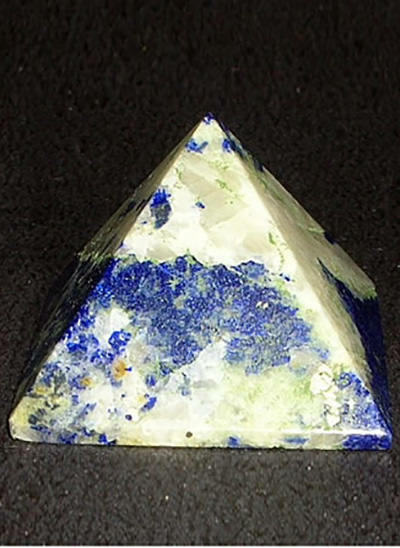 This transcendental powers and enchantment of this Lapis Lazuli pyramid comes from the heavenly body Neptune which rules this gemstone.